Simplified Messaging - Investor Relations - Market Climber Inc. Trim the detail and complexity so that only the meaningful elements remain. Every organization must constantly work towards simplified messaging. Falling into the complexity trap is almost unavoidable! After years in an industry, or in an organization, the management team is so close to the forest that, never mind the trees, they’re describing the photosynthesis going on in the leaves and the needles in front of them. That’s what was happening with GranTierra Energy back in 2007. When we first looked at their investor presentation, every slide contained highly technical geological maps and seismic logs of their oil reservoir formations, explained in detail in 10 point font from the top to the bottom of nearly 40 powerpoint slides. Our approach to simplified messaging allows for some detail, but forces us to trim detail and complexity so that only those elements that are meaningful remain. That’s what we did with GranTierra. We cut their slide count in half and their word count to 20% of what it had previously been. Simple messages bring you up, out of the weeds, so that you can speak plainly about the forest. Jargon, acronyms, confusing language and an avalanche of words in 10 point font are not going to help your investor. Keep it simple. Remember that in a one hour meeting to talk about your organization, you probably only have 30-40 minutes to speak. If every slide takes two minutes to explain, that means the maximum number of slides you have to work with is 20. But after your 20 slides, your audience is likely only going to retain three messages about your organization. So what do you want those three messages to be? Simplified messaging is more compelling. 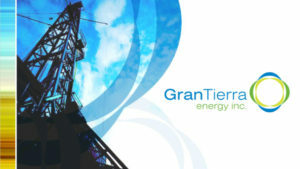 To find out more about GranTierra Energy please visit www.grantierra.com.